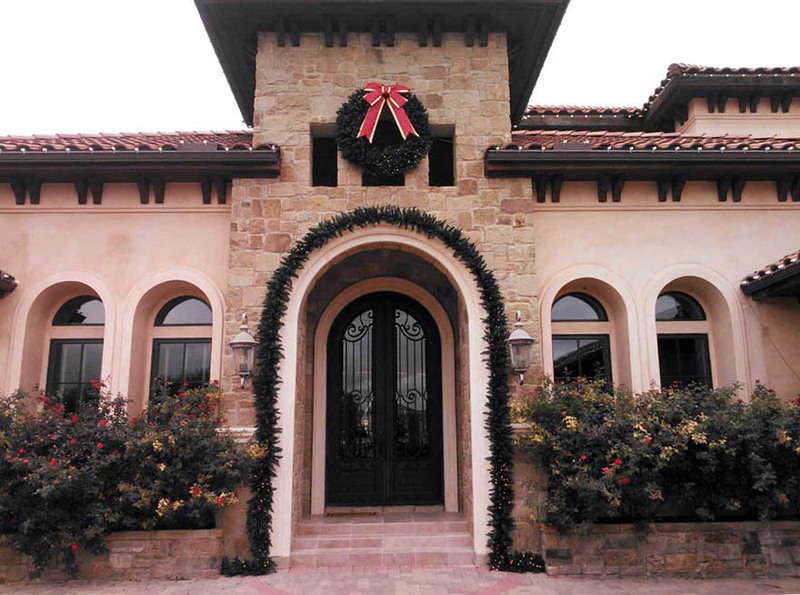 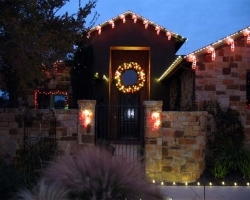 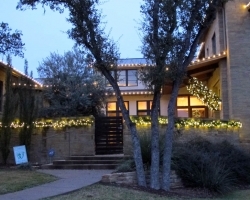 Holiday wreaths and garland give you a balance of day time and night time Christmas décor. 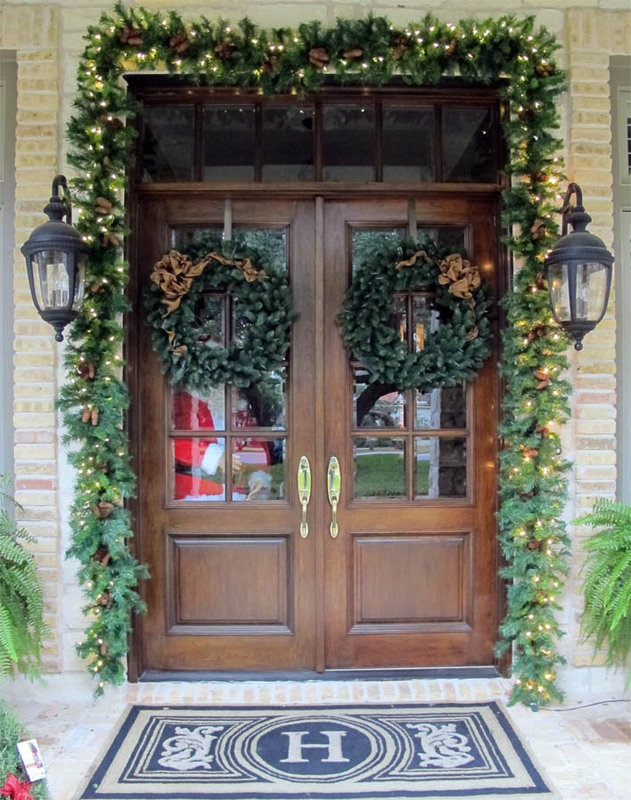 The holiday season is really short so why not have the perfect greenery to enhance the daytime holiday experience? 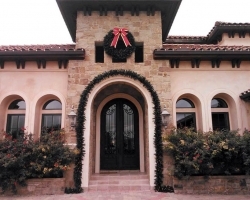 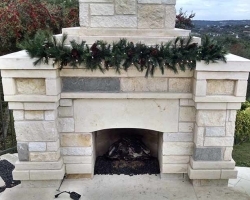 Wreaths do not require as much installation preparation work as garland so they give you the best bang for your buck. 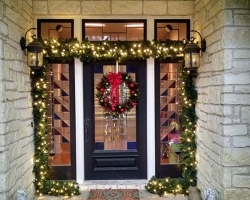 For day time décor wreaths should be considered the best value where garland is secondary for use if the wow factor needs to be increased and there is room in the budget. For wreaths with colored lights bows are really not needed. 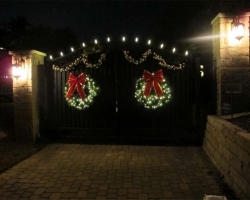 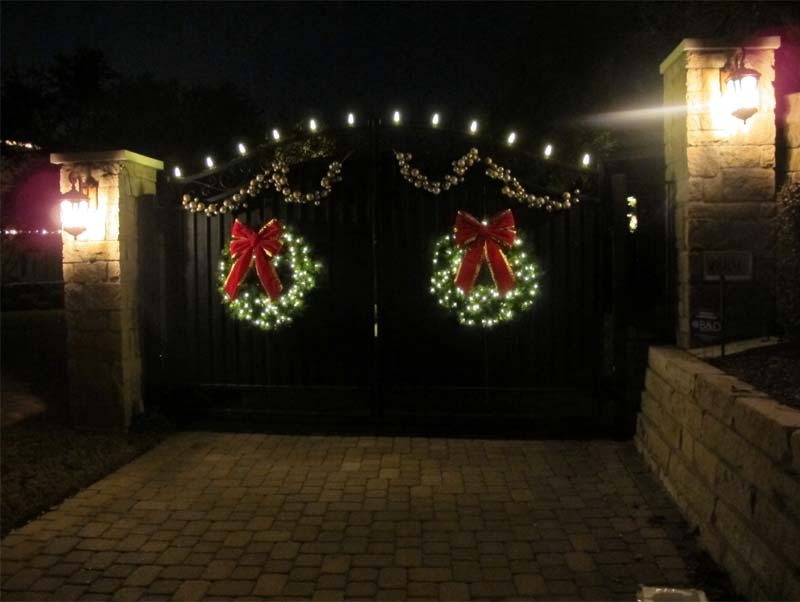 For wreaths with your standard warm white lights bows really add a nice touch of stately class. 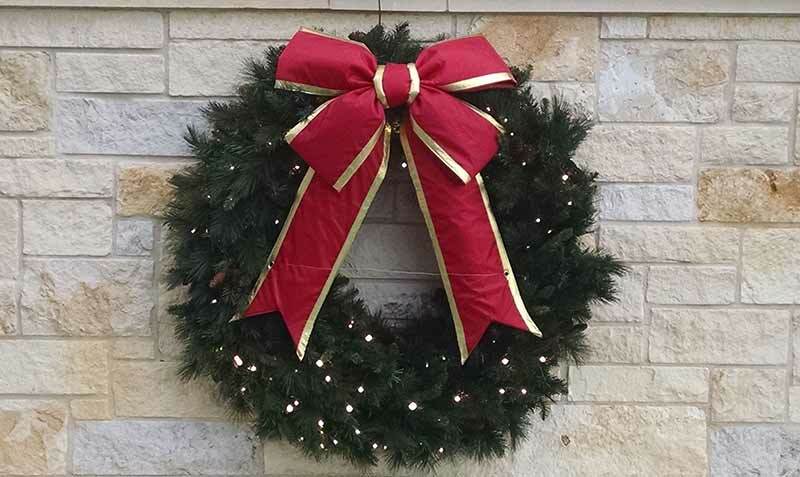 Our bows come in red with gold trim and also a darker solid red. 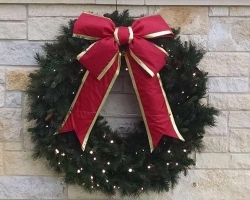 We offer both premium nylon bows and velvet bows in sized from 12” to 36” or larger. 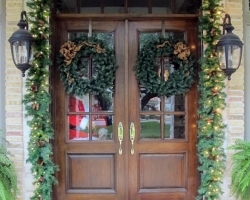 All bows are UV treated and are intended for exterior use. 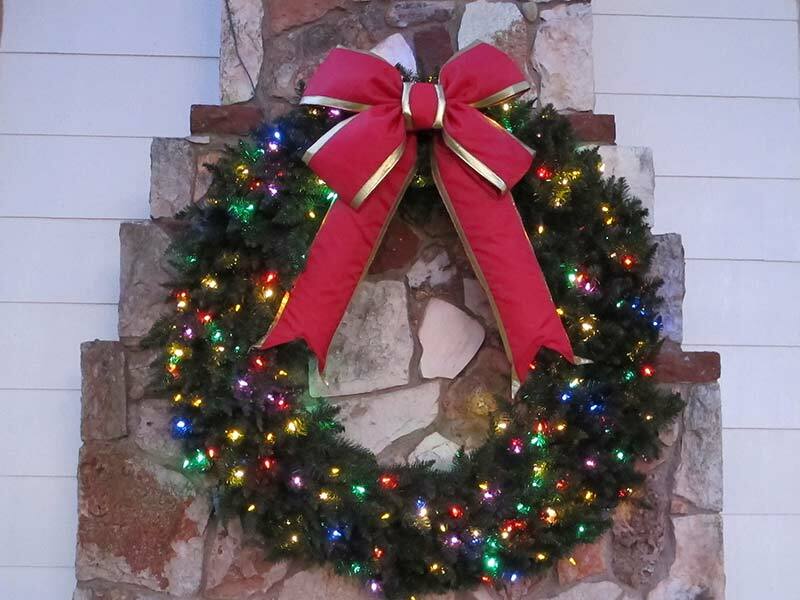 The most common wreath sizes are 36” thru 60” but we can get small 24” wreaths and commercial sizes up to 12’. 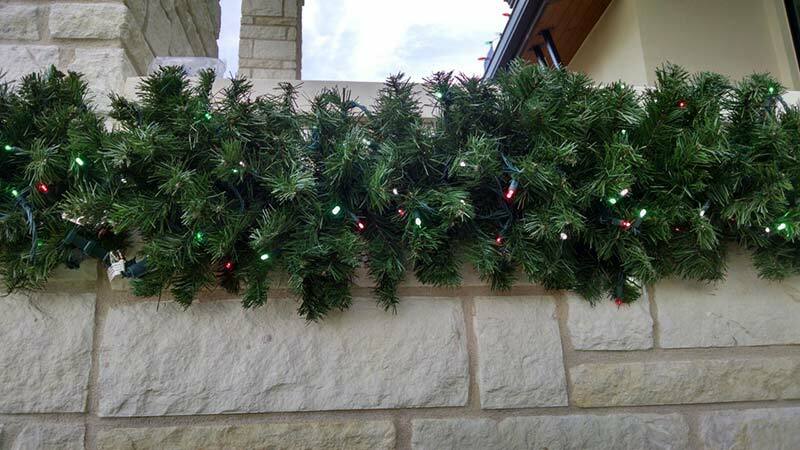 The residential wreath type Plantscape Solutions uses by default is the HBL LED Mixed Noble because of the great quality and wow factor. 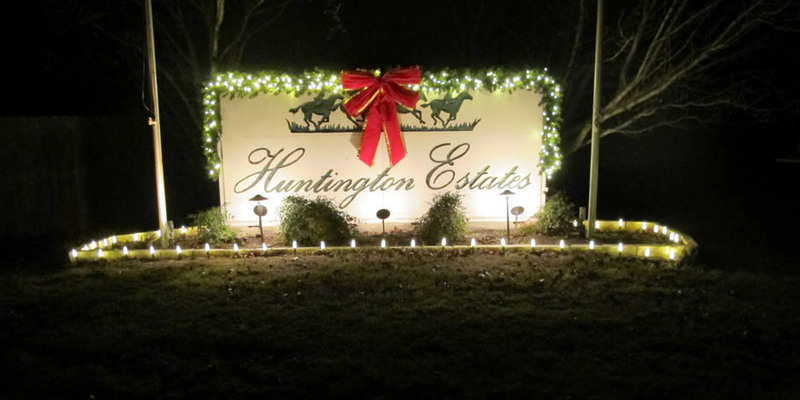 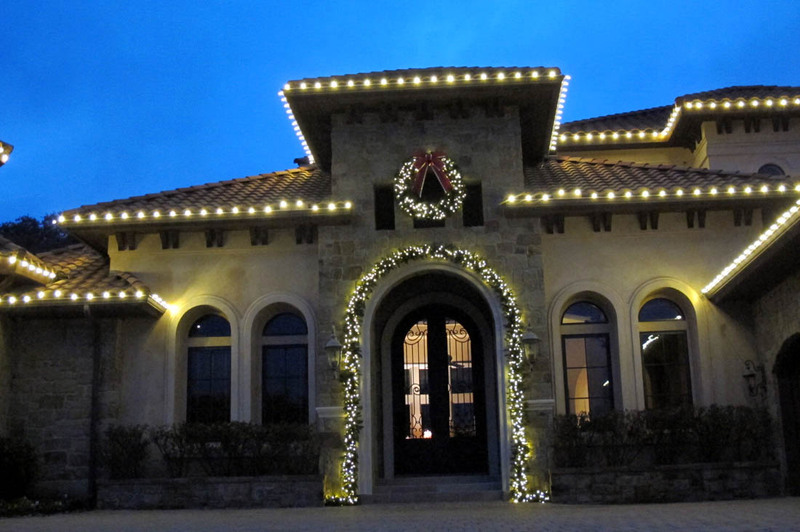 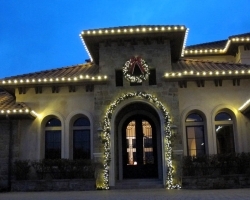 The HBL LED Mixed Noble Garland matches the wreathes perfectly. 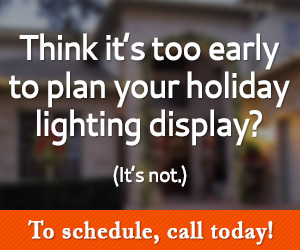 For commercial use we also have other options. 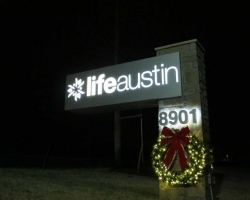 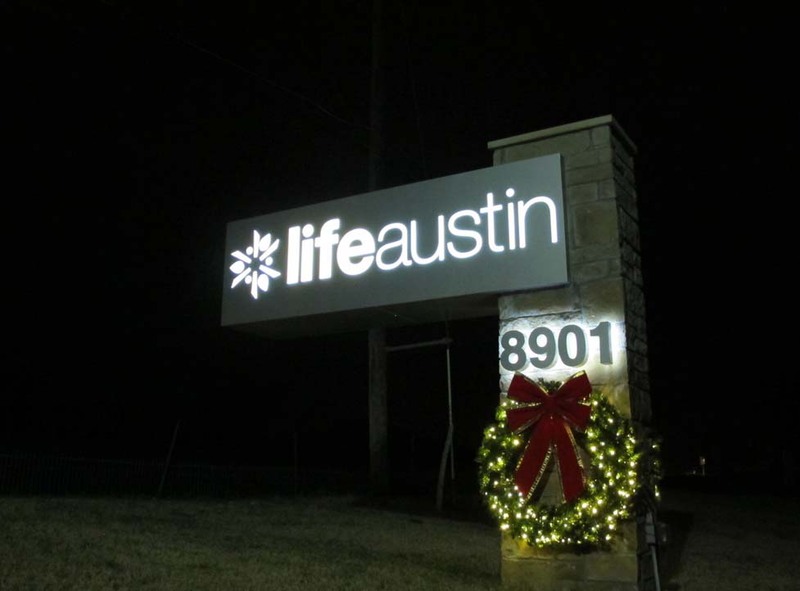 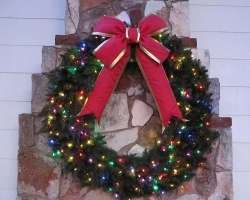 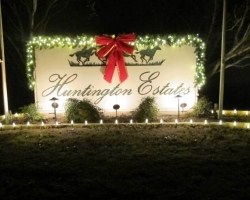 All wreaths have LED lights but we can also special order unlit wreaths if they are desired. 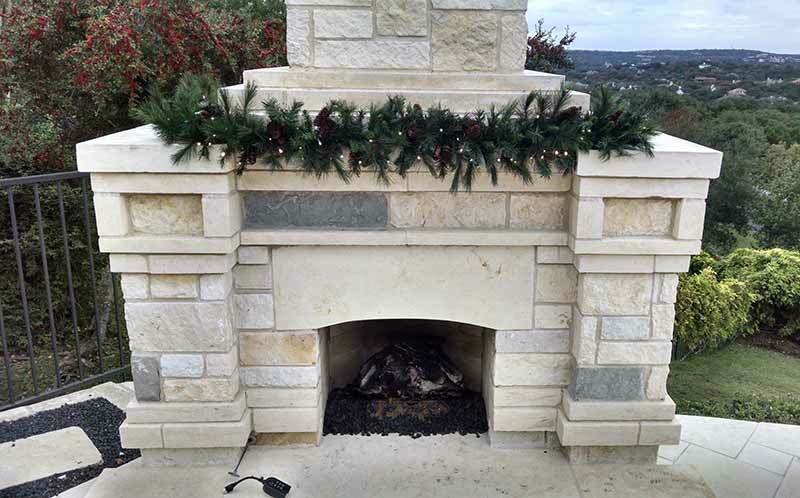 No matter your Christmas decor decorating needs we have the material to meet or likely exceed your expectations. 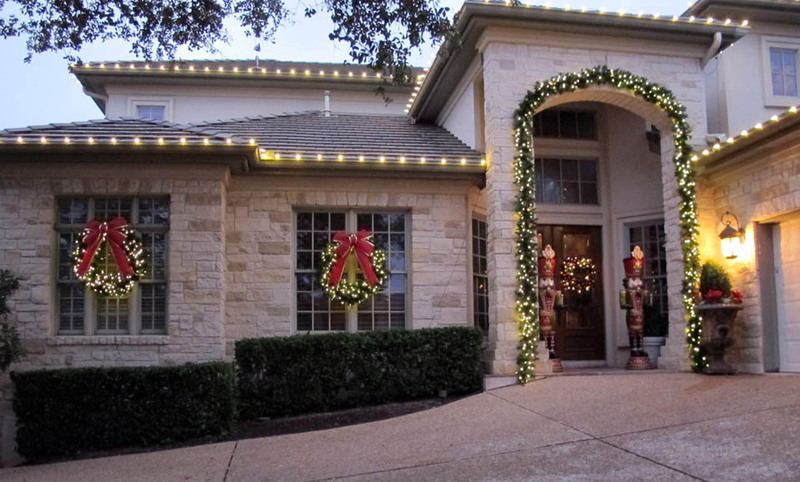 Holiday Garland is a great way to add daytime holiday and Christmas décor. 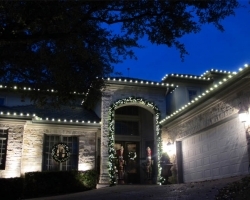 Lights look great on a home but they don’t give you anything to look at during the day. 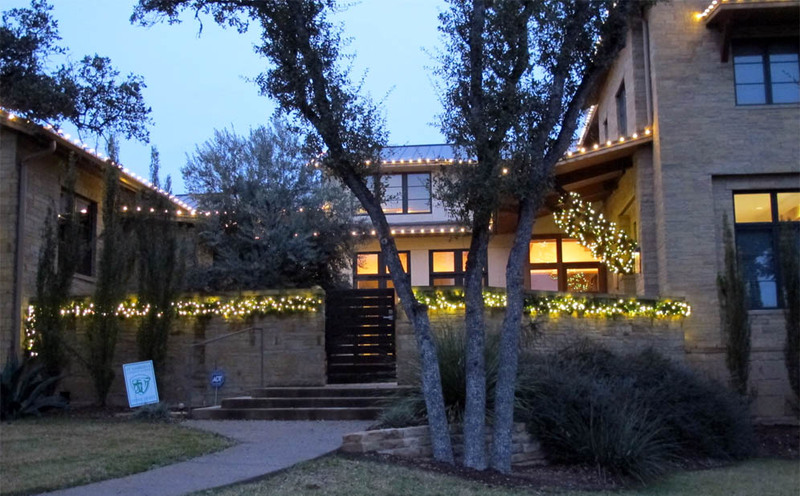 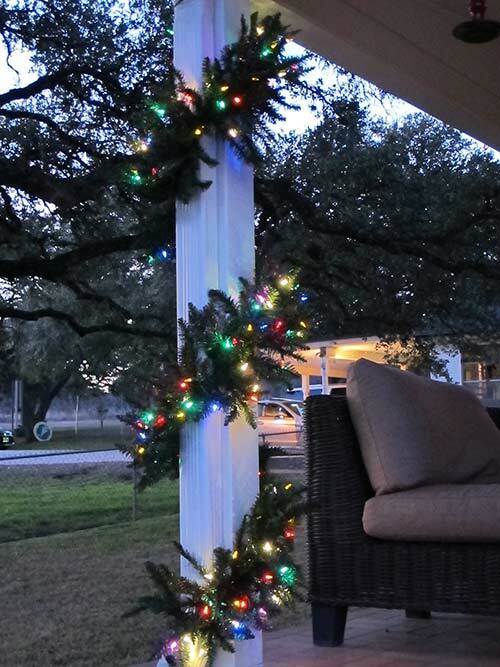 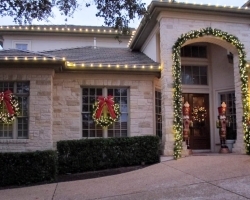 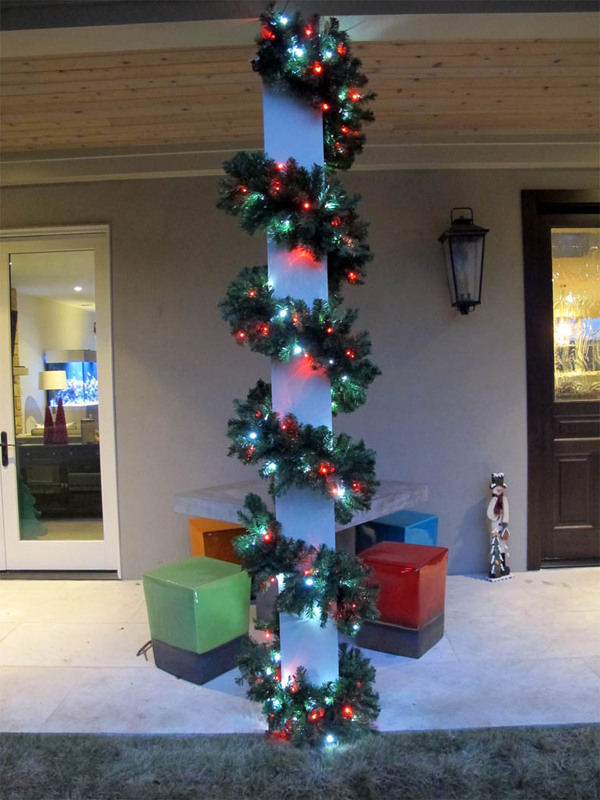 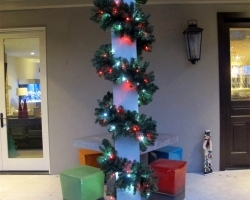 Garland is a great way to get some holiday décor to enjoy during the day as well as at night when it lights up. 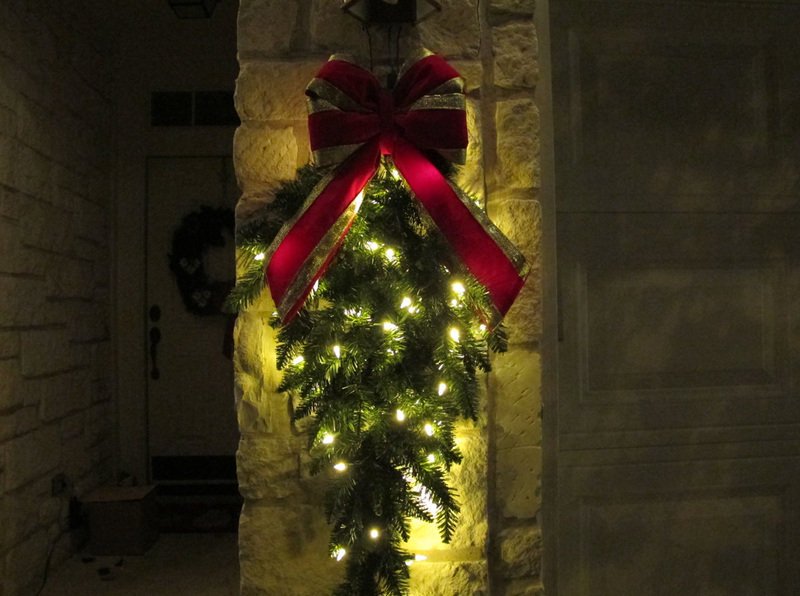 The 16” wide Camdon Fir garland is my personal favorite. 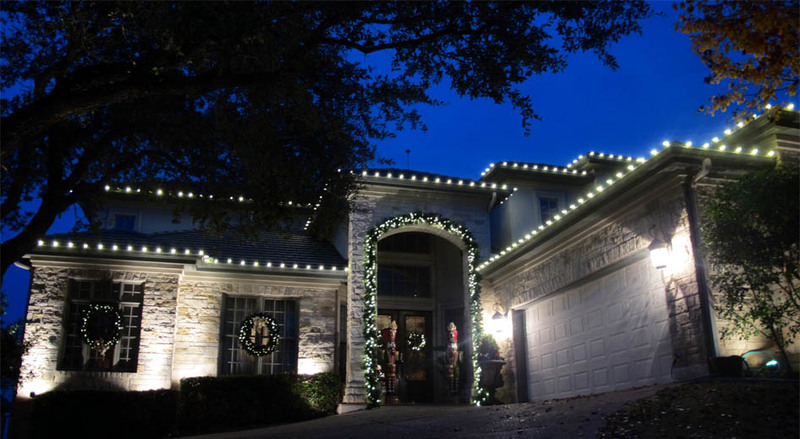 It has lots of lights and looks great at night. 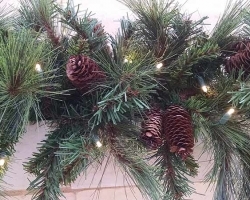 For people who like more detailed garland the Cheyenne Pine with pine cones and mixed foliage is popular. 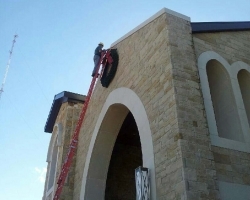 For commercial properties where the garland will not be seen up close or for more budget conscious customers the Basic garland is also an option and still looks great. 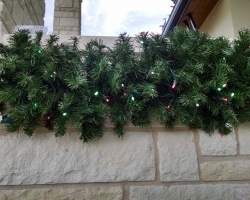 For 2014 out supplier increased the density of the Basic garland and it probably looks better then the garland you will find used at most other companies. 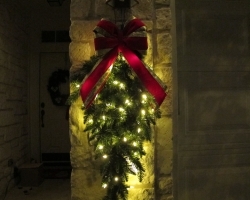 All garland is LED lit unless you have a need for unlit garland, in which case we can special order it with no lights. 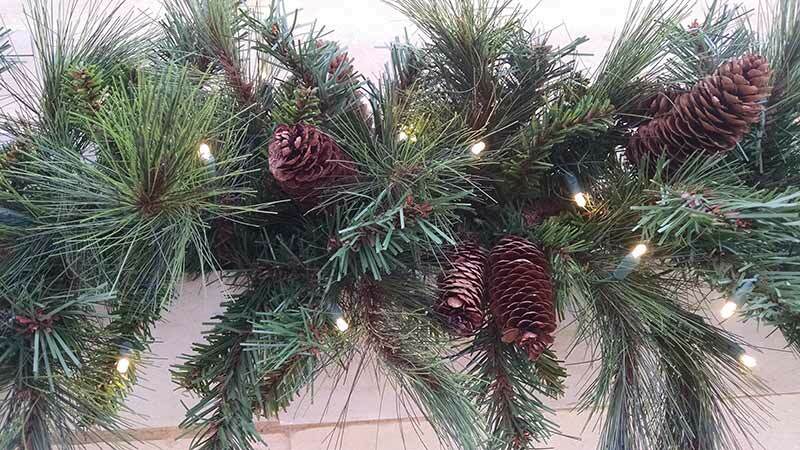 Garland comes in 12”, 14”, and 16” widths but the 16” is really what we recommend if you want the super full florist quality look. 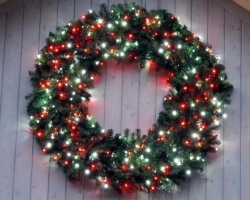 For commercial use on large displays we can also get 18” Basic garland. 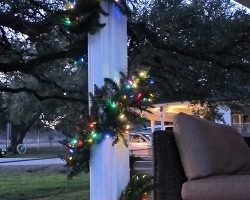 Garland is stored in heavy duty boxes when not in use to prevent flattening it too much. 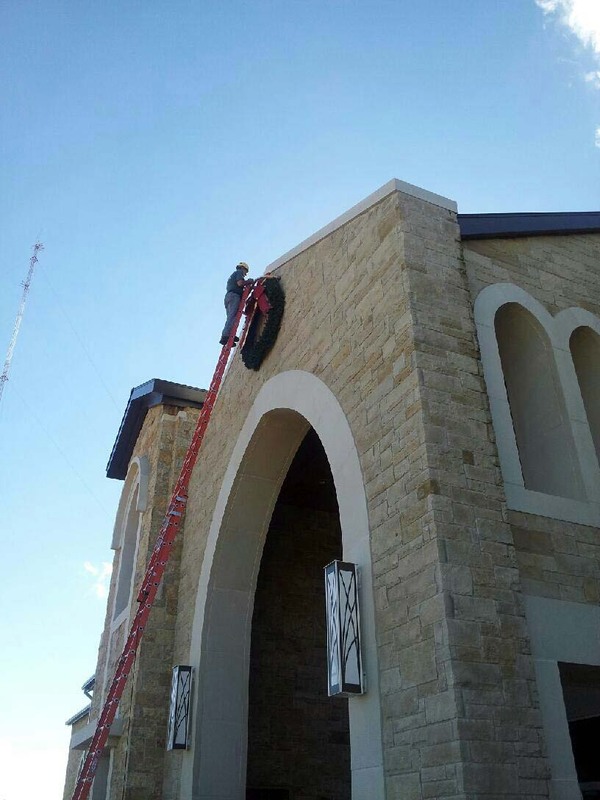 Once installed garland still requires a lot of hand prepping to get the Kodak Moment type look. 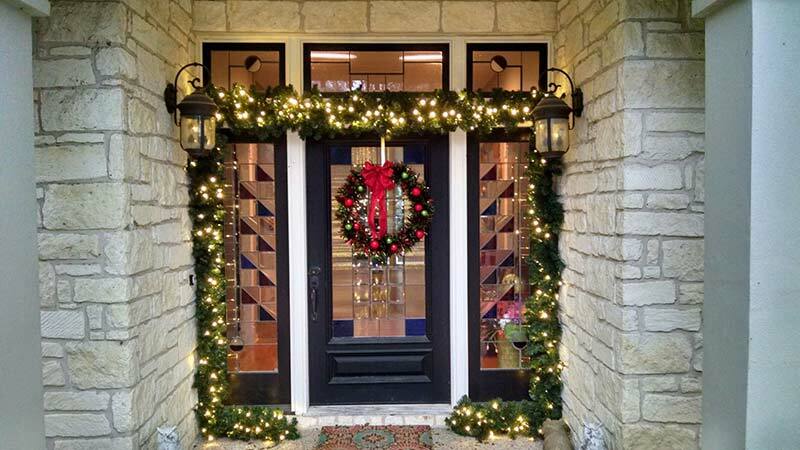 For more daytime décor check out the Wreath Gallery.